Thailand’s growth of solar PV capacity at an average rate of 200% per year since 2006 has positioned it to be the leader in ASEAN. Between 2008 and 2015, attractive feed-in tariffs fueled this growth. The incentive came to an end following the continuous trend of module price decline, but prospects for further market expansion remain bright for Thailand, provided that current policy and regulatory framework will be supportive of solar PV self-consumption. Dr. Tongsopit’s presentation documents the historical development of Thailand’s solar PV market expansion and analyses conditions for change toward solar self-consumption schemes. In addition, she will discuss the experience of Thailand’s Solar PV Roadmap Initiative. Implemented between 2013 and 2015, the Initiative engaged the public in developing the national PV roadmap through deliberative workshops. The Initiative enabled the stakeholders to establish a joint vision, identify barriers, and explore possible scenarios for solar PV development in Thailand together. She will discuss the methods by which exciting ideas and collective insights emerged from groups that were initially polarized. The deliberative process’s success, limitations, and applicability to Hong Kong will also be discussed. 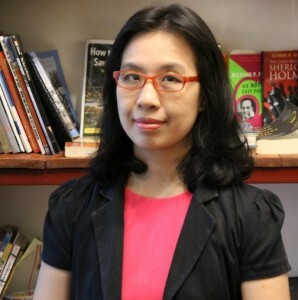 Dr. Sopitsuda Tongsopit has an extensive background in policy analysis of electric power systems. 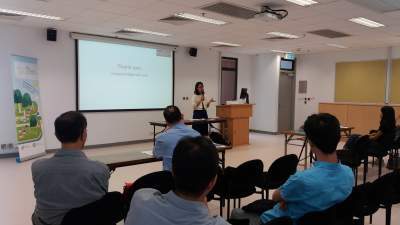 After she completed her Ph.D. in the U.S. on the political economy of grid-connected distributed power generation systems, she joined Thailand’s Ministry of Energy’s Energy Policy and Planning Office. She conducted analyses for the improvement of feed-in tariff design to support the deployment of renewable power systems. She is currently a researcher at the Energy Research Institute, Chulalongkorn University, where she leads and manages projects related to solar power economic and policy analysis. The topics of her recent work that ranges from the analysis of power industry structures, to solar business models, and to net-metering schemes evaluation, have provided useful recommendations for policymakers, electric utilities, and private companies. She has published extensively in international peer-reviewed journals on solar power and co-authored a 2016 International Energy Agency’s Report on Thailand’s Electricity Security Assessment. The Academic and Administration Building is located at the new BU campus, east of the People’s Liberation Army Kowloon East Barracks (解放軍東九龍軍營). You may take minibus 25M at the Transport Interchange below the Education Bureau building. The ride should take about 5-10 minutes. You may get off at “student hall” or “carpark” as indicated on the map above. You may also go to the venue on foot by following the red line starting from Exit A2 on the map. The walk will take about 10-15 minutes. E: mamanyi@hkbu.edu.hk T: 3411 7753.